The courses are structured to emphasize group collaboration, which is at the very heart of most modern project developments. It’s not only about Ruby on Rails,, Android and iOS programming, it’s also about learning to think critically to solve problems and develop team-building skills, which will be invaluable in your future workplace. Our goal is to familiarize you with the intricacies of these programming platforms, while at the same time, fostering inspirational thinking, which will create future opportunities for you. 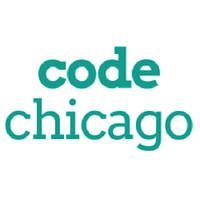 Code Chicago is not stodgy or static; we are seeking to actively push the boundaries in new and unexpected ways, and we want you to participate. We teach beginners how to create web, gaming, and mobile applications.